NYC Apartment Bad Wiring, originally uploaded by baratunde. Strange smell and a failing air conditioner led to this discovery. What are the best options for an NYC apartment-dweller? Are there independent things I can do to protect myself and my property? 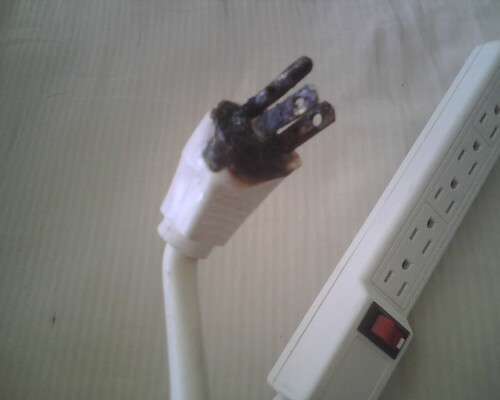 Any super high quality powerstrips with built-in electrical fire prevention I can install? I really don't want to be killed by bad wiring. I at least want to visit Cuba first.